Interesting due to advancement in technology, world is connected than before ,communication has been made easy whereby within microseconds, information can easily be disseminated to friends, families and governments all over the world. Social media is a platform for interaction among people in the world where people can express their interests, careers and share information freely. Social media uses internet based application technology to ensure information sharing. Social media applications such as Facebook, watsapp, twiter, instagram, viber, among others are accessed by people on their smartphones, tablets, computers and desktop by installed by technology. After this has been successfully done, on someone’s device, information can easily be shared. Australia has been refereed as a better and lucky country in terms of industrial development over years due to the plenty of good fertile land and minerals endowed and very many categories of industries have been established in the country year by year. Australian industrial sector includes the financial, fishing, metal and mining, health population, education, research and innovations, transport, among others that have enabled the country to be termed as “lucky country” in the world. However with rapid growth of mobile technology and devices such as smartphones, all employees in these industries are in position to access smartphones and internet to share information and chart with their dear ones both in the same working industry and other outside industries. It is believed that the productivity of all the industries in the world is dependent on the output of the employees working in them but the dilemma here is that due to technological advancement and introduction of social media that people can access on smartphones, almost all the time is spent on these platforms. This has greatly impacted on the success and growth of some of these industrial sectors in the country. The use of social media by the employees in the industries during the working hours in Australia. Research has indicated that employees in Australia spend too much on the social networks like faceboob, instagram twiter, watsapp among others sharing information. This is very unprofessional because most of the industries confidential information, productivity and employer-employee relationships has reduced. According to research that was made in 2012, by Moqbel M, it indicated that the employees spend a lot of time on social media chatting with friends family members and co-workers and this affects their productivity. Therefore, this research study is intended to examine intends to examine how the use of social media in the workplace has affected the productivity of employees in these industries. 1.The purposive aim of this research study is to find out and investigate on how using social media in the workplace has impacted on the employees, performance in the industrial sector. 2.To investigate and find out how using social media at the workplace has affected the productivity of employees in the industrial sector. 3.To identify the average time employees spend in social media during the working hours. 4.To investigate on the effects of spending much time on social media. 5.To find out whether employees use social media for better motives at the workplace. Research aim:-The major aim of this research study is to ensure that a lasting solution is proposed as a professional code of conduct by all the employees to ensure that social media use is regulated at the workplace. 1.How can social media use be regulated at the workplace? 2.How has the use of social media affected the productivity of employees? 3.How has the industrial sector suffered due to this problem? 4.What are the motives of using social media at the workplace? These questions will help to answer the main objectives of this study and help the industrial group to decide whether social media should continue to be used at the workplace or completely stopped in order to improve on the productivity of employees in the industrial sector. 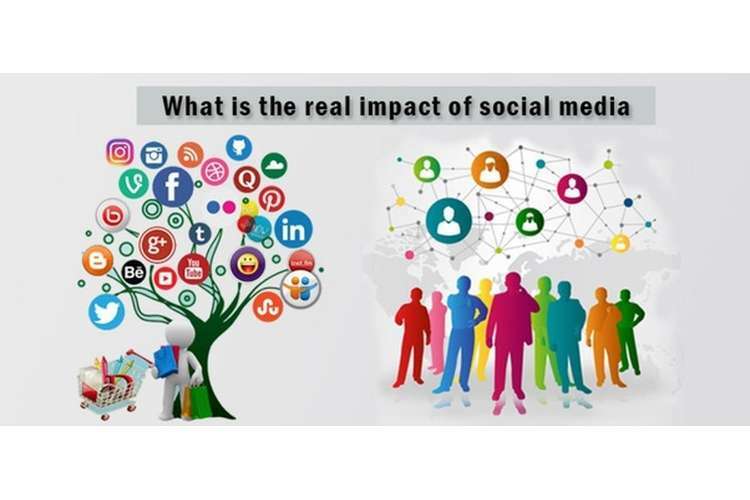 The study of social media use by employees in the industrial sector of Australia is very important because it will help to find ways of solving this mess and lead to industrial expansion of the country. This study will the following issues. This study will help to reveal how using social media at the workplace is reduces the productivity of employees in the industries and propose possible ways stopping its use. As industries are also looking for the major cause of low productivity and performance of employees, this study will also to show the industrial owners on how social media use is very dangerous on the growth of the industries .It will also help to reveal how their employees can lead to the collapse of industries by sharing its confidential information to their family members, friends and other competitive companies. This research proposal is expected to address the effects of over use of social media during the working the working hours, and also evaluate the performance of industries where workers spend much time on the social media. It will still provide an understanding of the major reasons why employees should or not use social media during the working hours. It will also provide an analytical framework for identifying how employees should use social media . This will help to ensure that the productivity of employees in the industries is improved. The over all research report that will be presented can help other industries to take on the same strategy in order in the line of production to ensure that the performance managing and productivity of their employees is improved. From the research study, productivity is how much an employee is able to produce out of the available resources. An employee can produce much from the given resources and less from the same resources given. When extra output is realized from the same amount of resources given, the employee is regarded as efficient and vice vasa. However, with the continued use of social media at the workplace, destruction, poor quality, decline in experience and skills, immoral behaviours among others are witnessed. If excessive use and adoption of something is repeatedly done it is called addiction which may lead to wastage of resources ad time. When such addiction is done by employees, their behaviours changes which will lead to change and decline in the quality of the products produced. This affects the industrial reputation especially when quality and volume of production is compromised. This study will also show how excessive use of social media has led to distraction whereby sometimes employees are diverted from work and go for social media. However research has shown that social media promotes knowledge and learning, and improves on communication when it is used in the appropriate way. According to the problem statement and the research objectives, the following research hypothesis can be proposed that will be tested in this study. Hypothesis 1:- According to the research study and the problem statement, social media use in the workplace greatly affect the productivity of employees. But do not affect their understanding and communication. Hypothesis 2:- use of social media at the workplace, distract employees from work and affect their productivity. As this research is on a social phenomenon mixed research methodology will be used in order to provide relevant report that will not have any bias from the stakeholders of this project. And these methods are discussed below. Literature review: For the secondary data, different literature review which are in line with the research study, different books that has been published about industrial performance and employees productivity in Australia will be reviewed, other sources such as Google scholar, online libraries, articles and magazines will be used as a source of secondary research. Population: The target population of the study will consist of all the employees in the industrial sector, all the population in Australia that use social media in their workplace and industries. Due to many people in the industrial sector, stratified sampling technique will be used whereby all the employees that are on social media will be identified and selected to provide data on behalf of the entire group. Participants/sample: Employees in the industrial sector that have access to social media in their workplace and have mobile applications will be used. A number of 15 employees from each industry that use social media will be selected on random sampling method media technique to provide data on the entire population. Participants from five major industries will be selected hence representing 70 participants. Data collection: As source of primary data, interviews and questionnaires will also be used. Questionnaires will be designed and distributed to both the employees and owners of the industries. Different types of questions will be used to ensure proper data collection on the employees conduct of on social media.